Summit’s expert teams of physicians, surgeons, physician assistants, certified athletic trainers, and therapists are committed to providing comprehensive orthopedic care to the Twin Cities and greater Minnesota. For this reason, we are honored every year to have our physicians recognized among the Minnesota Monthly list of Top Doctors in the Twin Cities. The Summit physicians and surgeons named to the 2018 Minnesota Monthly Top Doctors list were nominated by their peers and selected for their expertise. Why does this matter? Because research tells us that skilled care by acknowledged specialists can measurably improve the success of medical outcomes. The Minnesota Board of Medical Practice provided a list of 10,000 licensed Minnesota doctors. These doctors were invited to submit their Top Doctor nominations in each specialty category. The physicians receiving the most nominations are included in Minnesota Monthly’s 2018 list of Top Doctors. Summit Orthopedics applauds the Summit specialists named this year. With their medical teams and colleagues, these physicians embody Summit’s commitment to provide every patient with the highest quality of orthopedic care. 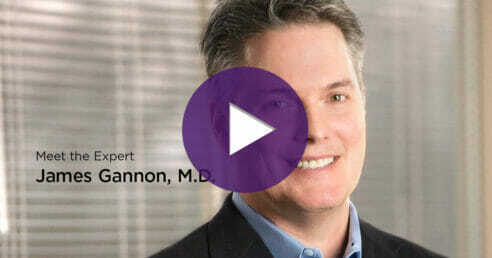 Dr. Gannon’s specialties include knee, shoulder, sports medicine, arthroscopy, and joint preservation and restoration. He has practiced in St. Paul for more than 20 years. In some cases, he has cared for three generations of the families who place their trust in us. Dr. Parten is a fellowship-trained surgeon specializing in shoulder injuries and arthroscopic and reconstructive surgery. His patients value him for his focused expertise and compassionate care. Dr. Parten understands that in our busy lives, there is never a good time to rest and recovery from an injury. He focuses on helping his patients return to their lives safely and quickly. Summit Orthopedics is pleased to congratulate our 2018 Top Doctors. It is our privilege to have these celebrated and respected physicians as members of our healthcare team. And while we are honored with this recognition, it is your trust in us that matters most. Together, our Top Doctors and specialty teams are here to treat the injuries and health conditions that are holding you back, and support you in maintaining the lifestyle you love. Mpls.St.Paul Magazine has again honored Summit Orthopedics surgeons Dr. David Strothman and Dr. Nicholas Wills for noteworthy achievements in their medical specialty.